Summary: Dylan "Spud" Williams isn't very bright, or clean for that matter, but boy can he dream. He wants to be a millionaire and with only his wild imagination, unwashed clothes, cow pats and greasy hair to help him, the possibilities look slim. But Dylan has his contagious enthusiasm, his friends and of course his long lost Aunt's inheritance to help, what could possibly go wrong? Oh, and there's that confounded itchy back to contend with! Latest Review: "When I was in primary school, I used to read and re-read Blyton for adventure and Dahl for comedy. Those were happy times indeed. 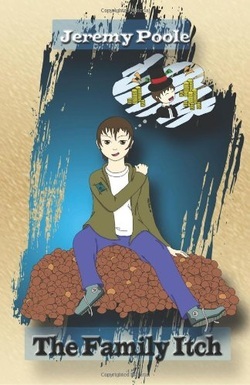 The Family Itch really took me back to those days, with the author employing a cheeky and at times deadpan humour as we follow young Dylan, a.k.a his High Smelliness, in his quest to become a potato farm...that's right, not a farmer, a farm! 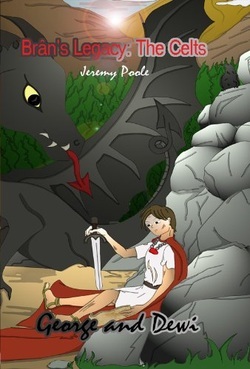 Summary: George is thrown into a world he never knew existed as he pursued by Romans and a dragon hunting Celtic king. With only a scroll to follow and a friend to help, all he can do is avoid his father's murderer and find Dewi. As a historical based fantasy novel, the book reworks the ancient legends of St George and the dragon, and brings into play a hoist of Celtic, Greek and Roman history and Mythology. This novel will be devoured by all ages and can appreciated on many levels. For those with a strong sense of adventure, fantasy and history, this book is one you'll love. Latest Review: "George and Dewi saga will absorb your kid and you. The book has it all, adventure and humor. It is part of a series so I can't wait for the next book to come out." Summary: A young King Arthur struggles to come to terms with his heritage and the end of Roman Britain, whilst being told the tale of his great God and Ancestor, Brân and his fight with the Irish deity Mac-Lir. Battles, and impossible feats of bravery, culminate in a war of the living versus the Dead. A tale of Briton's darkest legend and of its mightiest king, a cauldron of power and magical swords! Are they enough? Latest Review: "This is a great, fantasy/historical read. 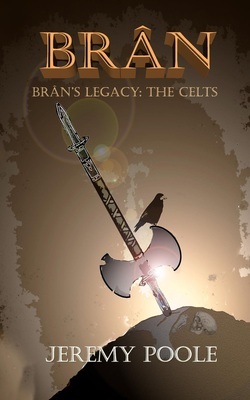 The Celtic legend of Brân, meets the Britons greatest king, Arthur. Zombies and magic cauldrons put this one up there with the LOTR."